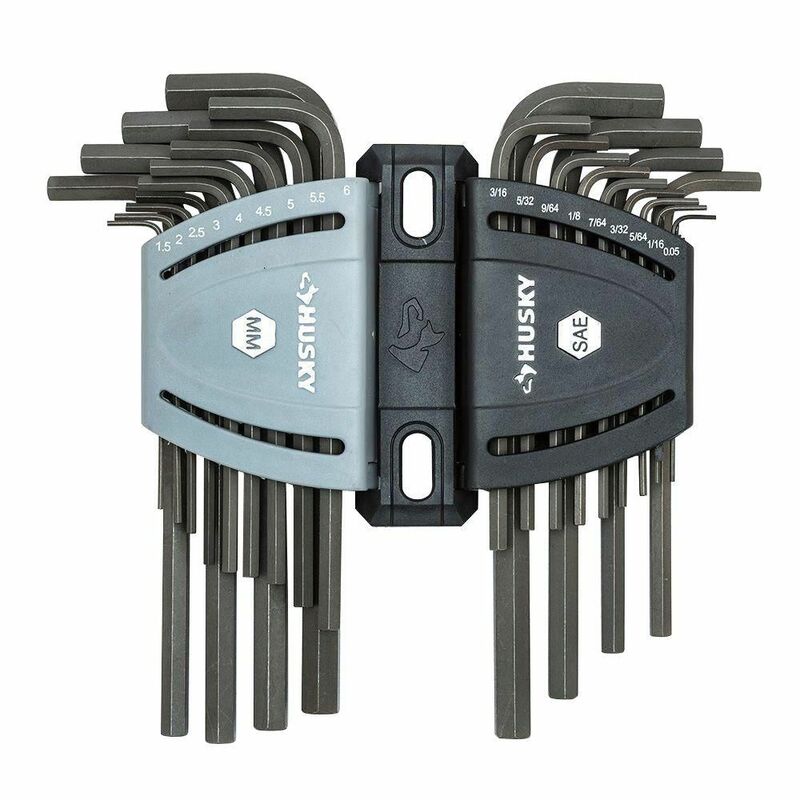 The Husky 26-Piece Hex Key Set includes hex keys made from alloy steel for long-lasting wear and featuring a chamfered-end design. The Allen wrenches resist rotational distortion and come in a variety of SAE and metric sizes. The finish provides resistance to corrosion while the included caddies help you keep them organized. SAE/MM Long-Arm Hex Key Set (26-Piece) The Husky 26-Piece Hex Key Set includes hex keys made from alloy steel for long-lasting wear and featuring a chamfered-end design. The Allen wrenches resist rotational distortion and come in a variety of SAE and metric sizes. The finish provides resistance to corrosion while the included caddies help you keep them organized.